PETALING JAYA: Tun Dr Mahathir Mohamad has admitted that the Pakatan Harapan government is facing difficulty in setting the minimum wage in view of a big part of government funds used to pay debts. The Prime Minister explained that the government at this time was not able to increase expenditure due the debt burden it was facing. “Some are of the opinion that RM1,800 is most suitable (as minimum wage), there are others who say RM1,500 is more suitable. “But we must remember we are competing with other countries, if our costs increase very much, we will lose our competitive edge,” he told a press conference after chairing a meeting of PH’s presidential council here today. 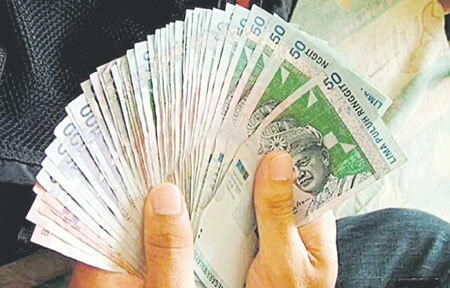 The minimum wage announced by the government saw a RM50 increase for Peninsular Malaysia and a RM130 increase for Sabah and Sarawak, based on the recommendations by the National Wages Consultative Council’s review on the Minimum Wage Order for 2016. Prior to this, the minimum wage had been set at RM1,000 a month for Peninsular Malaysia and RM920 a month for Sabah, Sarawak and the Federal Territory of Labuan . On other matters, the Prime Minister said the government wanted shareholding by political parties and individuals in media companies to be reduced to prevent them from become tools of people with vested interests. “Everywhere we find there are parties who want to control the media for their own ends, that is why we want shareholding reduced. However, we have yet to implement this,” he said.